“The path of the righteous is like the first gleam of dawn, shining ever brighter till the full light of day” (Proverbs 4:18). Anniversaries are important. Although the world uses them only for drinking parties, for the children of light anniversaries are a time for stock-taking—reflecting upon the goodness of God and resolving to do better in the years ahead. This month (November 2008) marks twenty years of the outstanding pastoral ministry of one of my closest friends in the ministry, Choolwe Mwetwa, of Central Baptist Church in Chingola, Zambia. I had hoped to participate in some commemorative events to mark such an important milestone, but upon realising that the month was drawing to an end with nothing happening, I opted to use this blog to muse over my friend’s remarkable ministry. I first met Choolwe when we were both non-Christians and schooling in Ndola. Ronald Kalifungwa, another close ministerial friend who was also in Ndola at that time, recalls that Choolwe was famous for his soccer prowess. In the soccer field he used to be called “Choo-weey”. The next time we met was at a Zambia Fellowship of Evangelical Students (ZAFES) camp in 1980 or 1981 when I was at the University of Zambia and he was at Luanshya Vocational Training Institute studying electrical technology. “What are you doing here?” I said to him, and he quickly replied, “And what are you doing here?” So, we found a quiet corner somewhere and shared how the Lord Jesus Christ had saved us from sin. We were both overwhelmed by God’s amazing grace! When I graduated from the University of Zambia and went to work in the Mufulira copper mines in 1984, I found Choolwe managing a men’s clothing outlet in that town. Since I had just been allocated a two-bedroomed apartment in an up-market residential area, I invited him to come and occupy the second bedroom. Again, since both of us were working, we also invited a schoolboy (Alan Ndambasha, now married and living in the USA) to come and live with us, so that he could take care of the house chores. Those were wonderful days indeed! Choolwe had just bade farewell to the Pentecostal Assemblies of God and was attending a new Brethren in Christ Church in town. I recall that he was a late sleeper and late riser, while I was an early sleeper and early riser. There were times when, in the middle of the night, we would cross each other in the corridor as he would be going to sleep after reading and I would be waking up to start my reading! Another highlight in those days was the way we spent our money on Christian books. 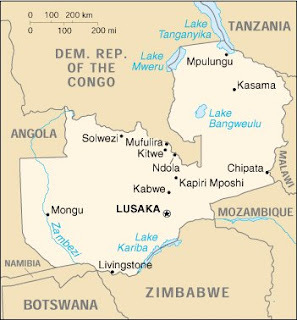 We would set aside money from our salaries for the basics of what we needed that month and then we would find out who between us would have time the following day to go to Luanshya by bus where there was a Christian bookstore that had a good supply of Banner of Truth titles. 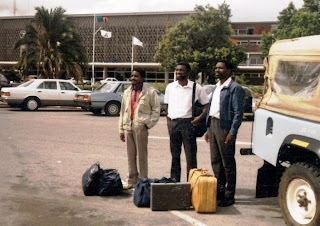 I recall once being the one to travel and I came back to Mufulira late at night, heavy-laden with the coveted merchandise. We went into the wee hours of the night reading the blurbs on the covers. We then proceeded to share the books using the “one for you, one for me” method. In the end, we had one book remaining and it proved quite a task to decide who would get it. Finally, my less selfish friend let me have it as a reward for the long trek I undertook ferrying the merchandise across the Copperbelt! Choolwe left me in Mufulira when he was transferred to Kitwe, where he f ound Ronald and they formed a formidable pair of young Reformed preachers. The Lord was definitely working in our hearts at the same time because, in a period of slightly more than one year (1987-1988), we all left secular employment and went straight into the ministry without going for formal theological training. Kabwata Baptist Church called me to be their pastor in September 1987, Central Baptist Church in Mufulira called Ronald to be their pastor in May 1988, and Central Baptist Church in Chingola called Choolwe to be their pastor in November 1988. These churches were all very new and had no church buildings. They could not even afford to pay our salaries (Lusaka Baptist Church, the church that Ronald is presently pastoring, helped these churches to do so for the first three years). We also all married nurses soon after becoming pastors. 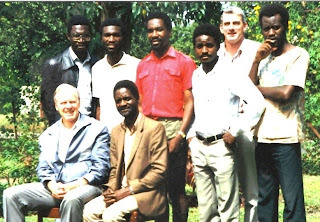 Since then, apart from Ronald’s short stint in South Africa (1998-2006), we have laboured very closely together in providing leadership to our local churches and spearheading the Reformed movement in Zambia (see picture above, with Erroll Hulse and Trevor Roberts in 1991). For Choolwe, this has meant twenty years of faithful ministry in that corner of God’s vineyard called Chingola. I trust his church has some idea how much their pulpit is coveted! I often tell people that, among the Reformed Baptists in Zambia, Choo lwe is the great mind while Ronald is the pastor par excellence (In case you are wondering what I think I am, I am the dreamer!). If God ever gave a John Owen to Zambia, he did so in the person of Choolwe. I can well understand why he left Pentecostal/Charismatic circles in the mid 1980s. I cannot see how a mind that painstakingly follows an argument so perceptibly to its logical end can be satisfied with the superficiality and contradictions that are so glaring in those circles. Choolwe and I call each other “twiny” because we have often found that we have a lot in common. For one, we both love writing and have sustained columns in national newspapers for years. There is, however, one area in which we are certainly different. I write booklets, but he writes tomes! Be that as it may, over the years I have appreciated Choolwe’s clarity of mind when I have had a knotty problem to deal with and have sought his counsel. After a few perceptive questions from him, all based squarely on the Scriptures, I have seen the way ahead so clearly that I have often wondered how I failed to see it in the first place. This gift of God has also been an asset to the Reformed movement in Zambia generally. 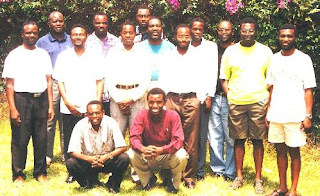 In the early days of the Reformed movement in Zambia, Choolwe (together with Ro nald) came up with a simple duplicated magazine called Sola Scriptura. During its short lifespan, it enabled us to think through the basics of the Reformed Faith and their application to our churches and our culture. Choolwe also came up with yet another vehicle that has been greatly used of God to sharpen our understanding of the application of the Reformed Faith to various aspects of church life. This was the not-so-regular Parson’s Diet (see picture). This was a conference among Reformed Baptist pastors where knotty theological and practical issues were debated year after year. This gift of God has also been a great asset to the nation of Zambia in the political realm in times of crisis. Who can forget how Choolwe’s one message at the Cathedral of the Holy Cross in 2001 rallied the whole nation together against our former Republican President FJT Chiluba’s efforts to change the constitution so that he could run for a third term as Republican President? Similarly, w hen his successor, the late Republican President Levy Patrick Mwanawasa, expressed reluctance to use a more popular method to adopt a new national constitution, civil society again turned to Choolwe for help. Choolwe took the nation by storm with just one message at the Mulun gushi International Conference Centre. His arguments were devastating, and it was clear to all that the battle was won. Yet, Choolwe is not a politician but a preacher of the gospel. So, as soon as his duty is done in the hour of crisis, he has always retired to his quiet pastorate in Chingola. Going from the Cathedral of the Holy Cross and the Mulungushi International Conference Centre to his normal church building (compare buildings above) must take quite some adjusting—but he does it all the time! 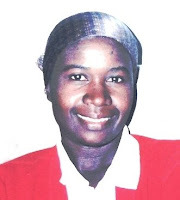 “Behind every successful man there is a woman.” I recall the day Choolwe broke the news to me that he had found his “missing rib” in a lady called Marilyn Katyoka (see picture), and on 4 August 1990 they were married. That was eighteen years ago. Since then I have seen this domestic reformer turn my friend’s house into a home and her warm personality has given it the glow that att racts us all there. Since then God has also given them three wonderful children—Wajula (boy), Tolai (girl) and Nkwali (boy). Marilyn’s green fingers have kept a vegetable garden going in their backyard that always leaves me green with envy each time I visit their home in Chingola. Now, with twenty years of “the book” already written, one wonders what the other pages will look like in Choolwe’s life. Only God knows. However, from God’s Word, one verse that keeps coming to mind as I think of the ministry of this dear friend of mine and servant of God is Proverbs 4:18, “The path of the righteous is like the first gleam of dawn, shining ever brighter till the full light of day.” Here is a very consistent life that has been growing in its understanding of God’s truth and in its fruitfulness over the years. Therefore, we can only expect better things with each succeeding year. One of my greatest privileges in life, for which I will ever remain grateful to God, has been to be a friend to one of God’s choicest servants in my generation in my country. Thank you, Lord. Amen! I have learnt my lesson! Never to start reading your articles when I have work pending on my desk. I get so carried away by the manner of your writing and valuable content of your articles that I only "wake up" at the end and realise that time is gone. Thanks anyway for the information and edification your blog and other articles provide. May the Lord continue to bless your ministry and keep your soul. Next time I will only click on the www.conradmbewe.com link when I am ready to read the whole article not just to see whats new - it might cost me my job! I did not know that I am almost costing people their jobs! Thanks for visiting the blog. You make "blogging" worth its while. Wonderful story on Pastor Choolwe, though I've always wished we were allowed to spell his surname 'Mweetwa'. It seems so much more natural. Thank you for this inspiring tale. Just one or two minor issues though. It would be nice to have a bigger version of the picture of the preachers in their adolescence (so to speak) and their full names and the occasion. 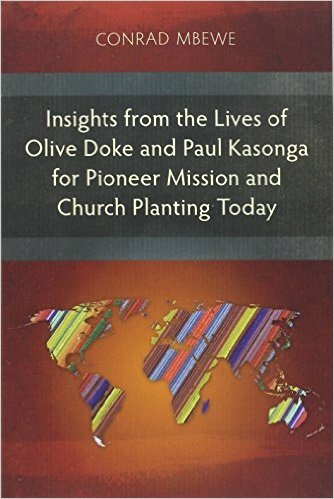 Also, although many of the reformed family know Pastor Kalifungwa, some new visitors may not. 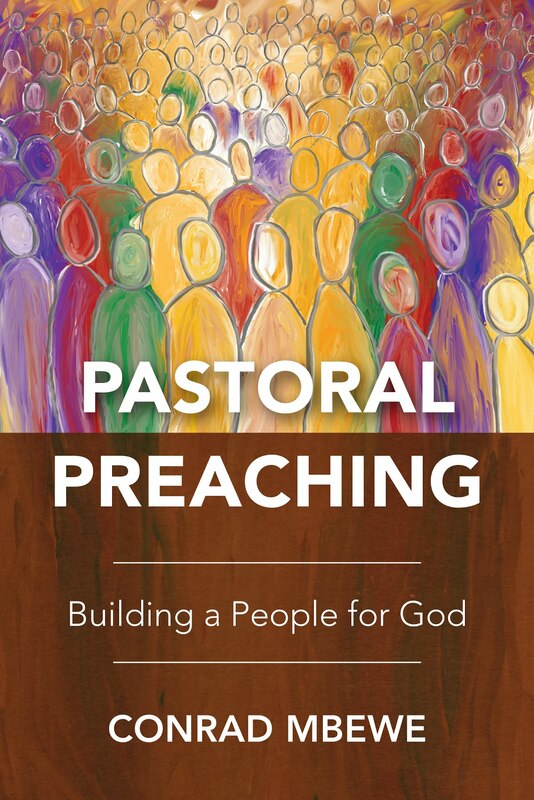 So, it might be a good idea to include surnames (and maybe their current pastorates) as you refer to your friends in the Humble Undershepherd Fellowship. Just some thoughts. One last plea: at the risk of getting some of our friends fired for slacking on the job, are you considering updating your blog a little more frequently? Even a brief daily thought or event log in between the 'tomes' would be most welcome. Please promote your sermon on Opening the Book tonight! Great to hear from you. As usual, your insights are always very helpful. Keep them coming! I was tempted to say more on "the good old days" but thought of concentrating more on the pastorate. After all, that is what we are commemorating. I hope someone can take up a fuller version of "Choolwe and his childhood friends"! 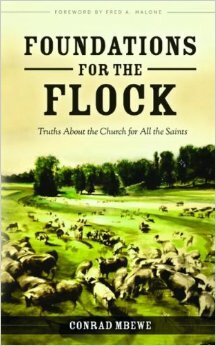 Thanks for pointing out the ommission of Ronald's present pastorate; I will squeeze it in somewhere. As for the surname, it is mentioned the first time I refer to him. Yes, you do want me to get fired! I write three newspaper articles a week, plus one blog. Anymore than that and my fellow elders will be wondering whether I know what they are paying me for! Wonderful tribute, Conrad. I particularly liked the juxtaposition of the two buildings. Doesn't that say it all? It will be a delight to meet Pastor Choolwe, here or There. Congratulations on twenty years of faithful service to our Lord, Pastor Choolwe. I too rejoice in the goodness of God demonstrated in the life and ministry of our brother! May God give him many more years of faithful service. His contribution to the Copperbelt Ministerial College is invaluable.